• Changing your flag to red no longer resets your reputation to 0. • High reputation PvP defensive buff (crime protection) is only active when flagged blue. • As you can now always flag blue, you NO longer get any reputation from gathering/mob killing while flagged red. • Increased flagging duration for PvP from 5s -> 15s. • Lowered reputation gain, especially for higher reputation ranks. 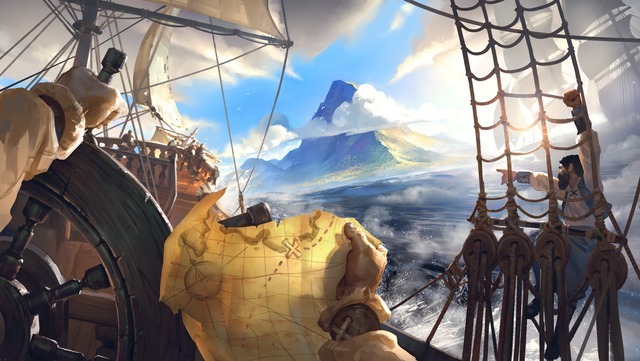 • Players with dreaded reputation level cannot enter the Royal continent. • Removed music from T5 Heretic Expedition in the Lumberjack Miniboss area. • Added music to the T4 Undead Expedition (solo and group) Mage Boss area. • Changed animal nurturing and crop watering cycle from 24h to 22h. • Silver rankings will now count gross silver picked up (before guild tax). • Increased the resource value of T4 Level 1-3 resources, so that enchanted items item values match up with higher tier items (e.g. T4 E1 equals T5 E0). • Increased the item value of artifacts by a few hundred silver to balance the value to other items. • Configured world bosses to ignore time zones. • Removed unnecessary artifact bonuses from Destiny Board nodes for swords, spears, quarterstaffs and plate boots. • Added camera shake option. • Reverted expedition penalty debuff handling. • Added auto deny guild invite option. • Added sounds for missing farmable animals: ox, horse, direwolf, direbear, direboar. • Players cannot no longer respawn at a guild territory if your reputation does not allow you to enter the area. • New characters start initially with 0 crafting focus. • Fixed an issue where dying in expedition plus disconnecting allows to teleport to home without losing equipment. • Fixed an issue where players were able to get up from a knockdown fast even though the mob was still in combat with other players. • Fixed an issue where crafting the Undead Horse did not work. • Fixed an issue where amount of silver dropped by killed players is no longer affected by mob difficulty of area. • Fixed an issue where sending invitations disabled keyboard. • Fixed an issue where the Grip spell from the Undead General didn't deal damage and didn't stun the player. • Fixed an issue with minor rounding errors for resource values. • Fixed an issue where the loot from castles in the lower outlands was set up wrongly. • Fixed an issue where Windwall cast triggered a move command too. • Fixed an issue where Gathering Gear Backpacks didn't affect T5 and higher base resources. Instead only worked on enchanted for T5+. • Fixed an issue where the crafting specialization for gatherer gear shoes on the Destiny Board also rewarded armor crafting specialization. • Fixed an issue where muting players also blocks messages in the say-channel. • Fixed an issue where Howl cast triggered a move command as well. • Fixed an issue where spell info tooltip was not closed after destiny board was closed. • Fixed an issue where player got a penalty when leaving a single expedition while being dead. • Fixed an issue where crafting royal set gear was not possible even if all requirements were met. For more information on the Galahad update, head on over to the Albion Online site.